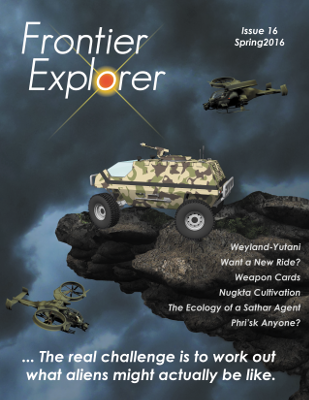 Issue 16 of the Frontier Explorer  is now available. This issue is a big reminder that this really is a community magazine and that we couldn’t do it without you. A special thanks to Joseph Cabadas and Chris Donovan who stepped up and provided a huge number of articles for this issue.